The CCNP: Routing and Switching is an intermediate-level certification that builds the knowledge and skills you gained on the CCNA: Routing and Switching. Directed at network and system administrators planning and implementing Cisco’s high-end network solutions, the CCNP provides a more in-depth understanding of WAN/LAN and how they work. Achieve the CCNP and you could be on track for an average contractor salary of £99,400 according to CW Jobs. 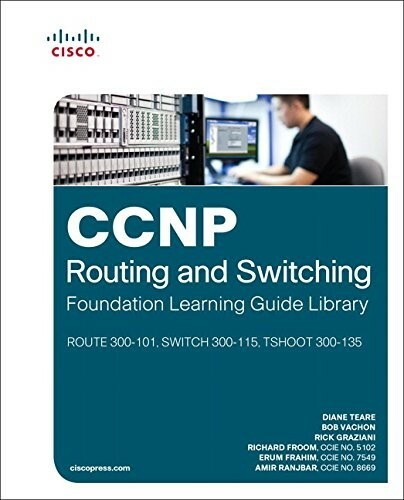 Read on for an in-depth overview of the top 5 CCNP books. 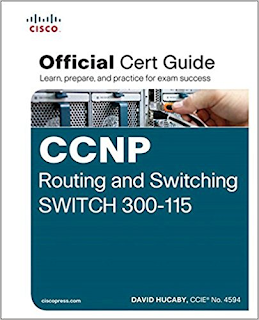 David Hucaby’s Official Cisco Cert CCNP Routing and Switching SWITCH 300-115 book guides you though the concepts, tools and techniques needed to achieve the SWITCH 300-115 exam. This official guide comprehensively explains a wide range of networking topics; from configuring features on Cisco Switches to determining whether they’re working effectively. Hucaby is especially skilled at explaining complex topics concisely, which makes studying for the SWITCH 300-115 exam easier. Despite its rave reviews on Amazon, some people feel that this Official Cisco Cert Guide doesn’t cover all the concepts in enough detail to pass the exam using the book alone. However, it’s great for re-certification or as a supplemental learning tool to use alongside an official online or classroom CCNP course. Published by Cisco Press, these books from the Foundation Learning Guide, which covers broad aspects of all three CCNP Routing and Switching exams: ROUTE, SWITCH, and TSHOOT. Every guide also provides real-world case studies to help you understand how concepts and techniques can be applied in real-life situations. This book covers a wide breadth of topics but doesn’t dive into detail. 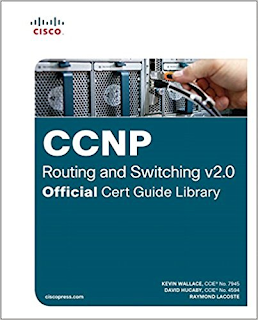 Don’t expect to pass the CCNP certification by solely using these guides. 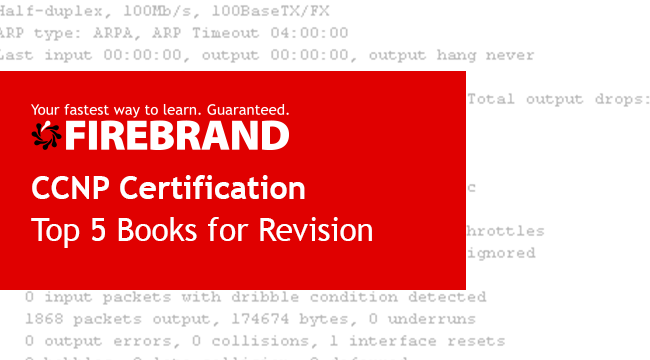 Although not the most thorough books on the market, the Foundation learning guides are ideal tools for a CCNP re-certification. If you like to revise until the last minute, this little pocket book is the ideal guide to reviewing important commands before you enter the exam room. 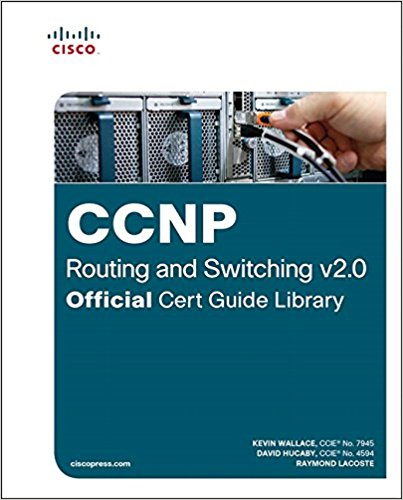 Published by Cisco Press and updated for the latest version of the CCNP exam, this guide develops your command knowledge from the Official Cert Guides. It focuses on the commands you’ll need to know for the CCNP exams and includes tips such as feature/protocol inter-compatibility, common issues and how to implement the commands in real-world scenarios. 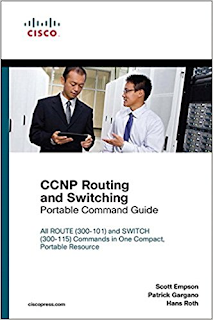 Once you’ve achieved your CCNP certification, this command book remains a useful tool to keep on your desk to refer to. 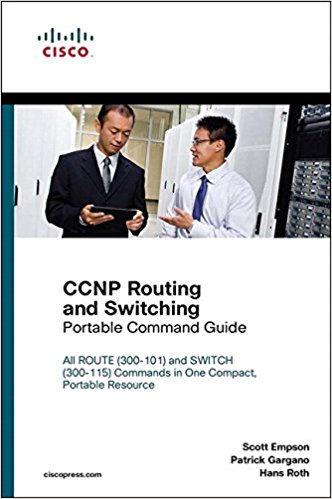 Ultimately, this easy–to-read guide is a great way to ensure that you’re familiar with all the current CCNP commands before your exams. However, it is not designed to teach you CCNP theory and should be used in tandem with an Official Cert Guide. Although it covers nearly all the commands, the book is missing key details in the DMVPN and GRE commands. This bundle also contains exam questions and lab exercises designed to provide you with the skills you need to excel in your CCNP exams. You’ll also get access to in-depth, expert explanations of the various protocols, commands, and technologies that you may be tested on. Exclusive to this bundle, each book also provides a review chapter of knowledge and skills you gained in your CCNA: Routing and Switching exams. The reviews for these guides are divided. While most topics are covered in enough detail, the book is littered with technical errors, making complex topics harder to understand. If you do choose to buy this bundle, check the errata as you go along. 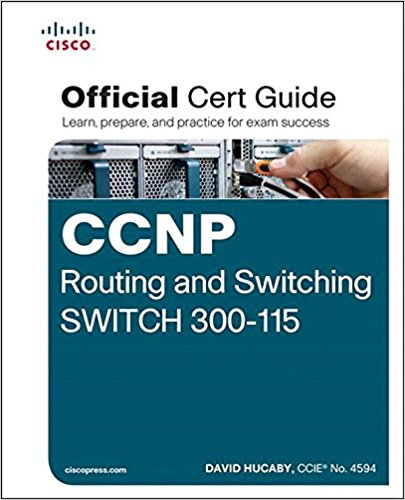 Written by Kevin Wallace and Wendell Odom, this book goes hand-in-hand with David Hucaby’s Official Cisco Cert CCNP Routing and Switching SWITCH 300-115 guide. Odom, renowned for the technical depth and accuracy of his books falls a little short in this guide. Rated 3 stars on Amazon, this guide is almost too similar to his previous ROUTE book and at times, lacks the detail necessary to achieve the updated ROUTE 300-115 exam. 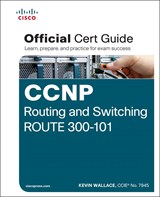 Although not the most up-to-date CCNP Guide, It provides good foundation knowledge to help you get your head around the basics of the ROUTE 300-101 exam. Despite the fact that the publishing dates on these guides makes them seem outdated, Dave Petts maintains that the content is still relevant to the current exam delivery. We have yet to receive any official confirmation from Cisco, the CCNP: Routing and Switching Certification is due for a refresh sometime in the near future, as Cisco courses and certifications tend to run for 3 years.